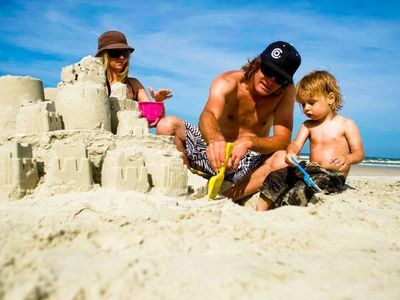 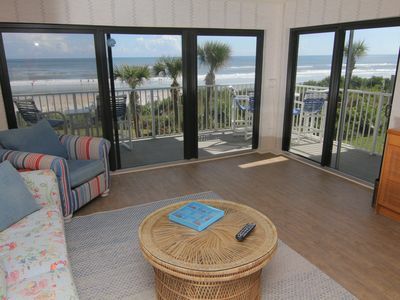 We know you will love this beach house! 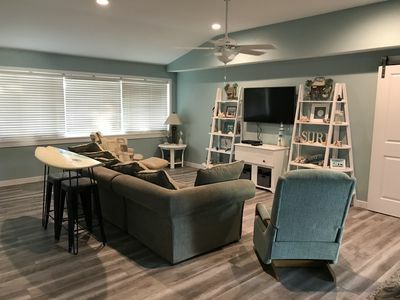 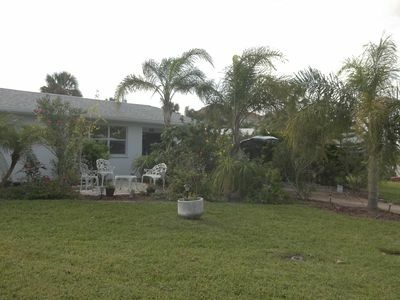 Home completed renovated house (granite tops, new appliances, fixtures, flooring etc) is located just 50 yards from the beach! 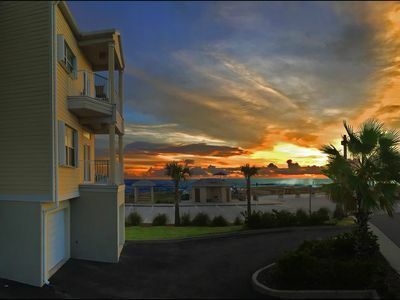 We are the first house on the street. 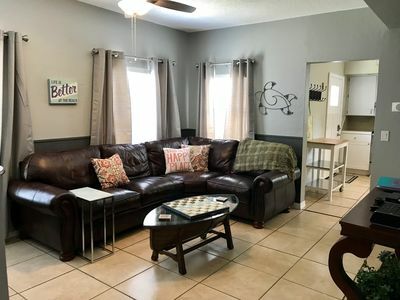 The two bedroom, two bath bungalow has a spacious living room, eat-in kitchen, dining area, den, back yard patio, and one car garage. 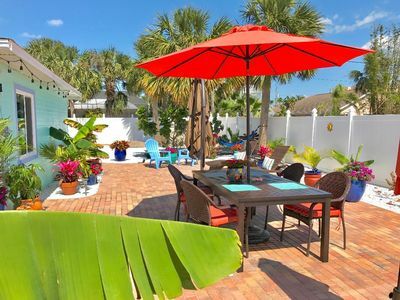 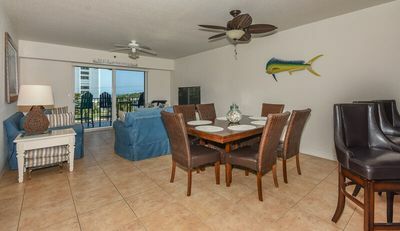 This 1200 beach home is a beach lover's paradise near to the surf and fun!! 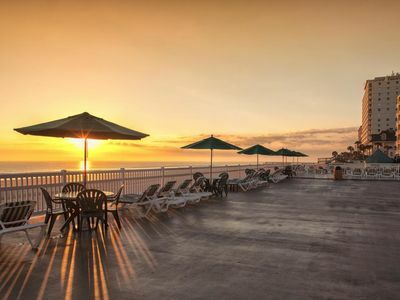 Watch the sunrise over the No Drive Beach in NSB! 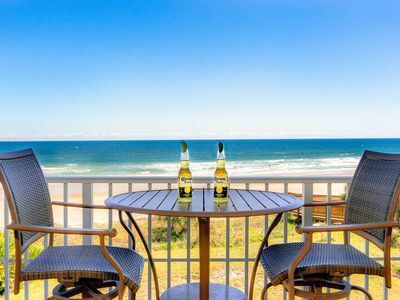 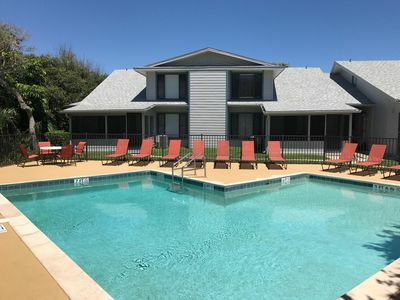 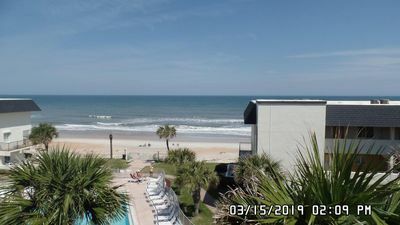 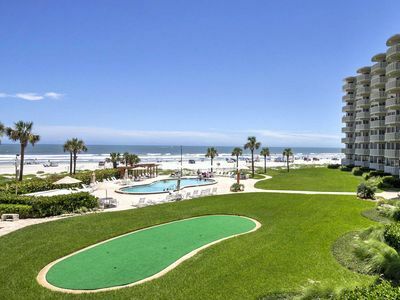 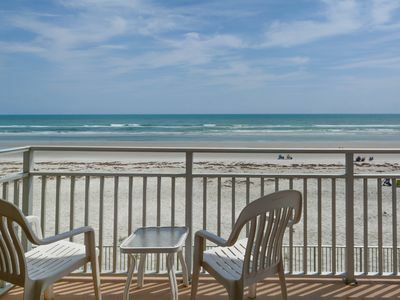 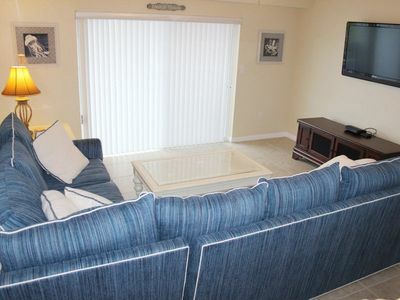 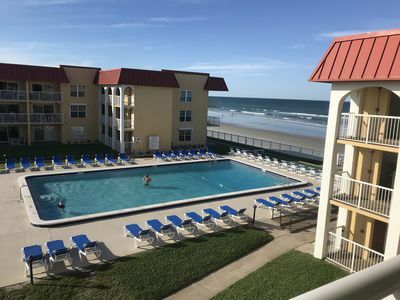 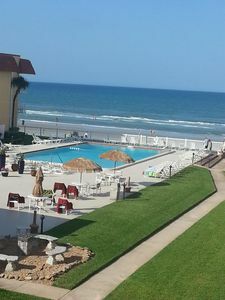 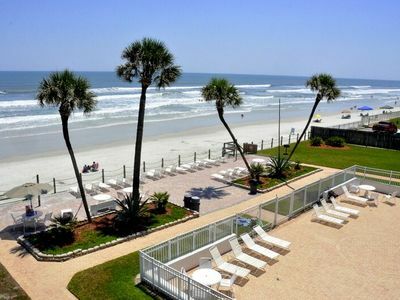 Beachfront New Smyrna Condo w/Ocean Views & Pool! 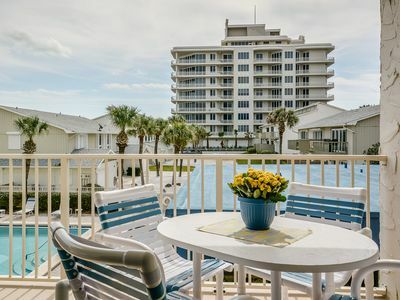 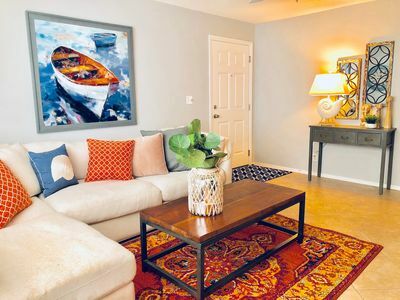 Just Across From The Beach, This 2 Story Poolside Condo Is Sure To Please. 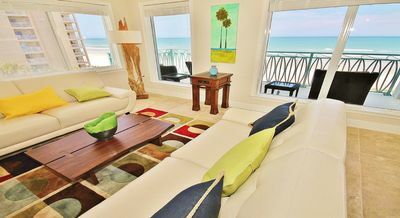 My Shore Home, 2/2 Newly Re-Decorated Oceanfront Condo, No-Drive Beach!